Mladá Boleslav, 14 February 2019 – ŠKODA delivers 102,600 vehicles to customers worldwide in January. ŠKODA increased its deliveries, in particular, in Western Europe (41,000 deliveries, +6.2%) and in the growth market of Russia (5,500 deliveries, +23.0%). Overall, deliveries fell slightly by 1.1% compared to the previous year (January 2018: 103,800 deliveries). The main reason behind this trend is the overall decline in the passenger car markets of China and Central Europe. The brand’s bestseller remains the ŠKODA OCTAVIA, and demand for the ŠKODA KAROQ compact SUV is growing strongly. In Western Europe, ŠKODA delivered 41,000 vehicles to customers in January, up 6.2% year-on-year (January 2018: 38,600 vehicles). In the strongest European single market – Germany, the company increased its deliveries to 13,800 vehicles, an increase of 8.1% (January 2018: 12,800 vehicles). ŠKODA posted double-digit growth in the Netherlands (2,500 vehicles, +61.0%), Spain (1,600 vehicles, +12.3%), Switzerland (1,600 vehicles, +37.0%) and Denmark (1,500 vehicles, +29.4%). 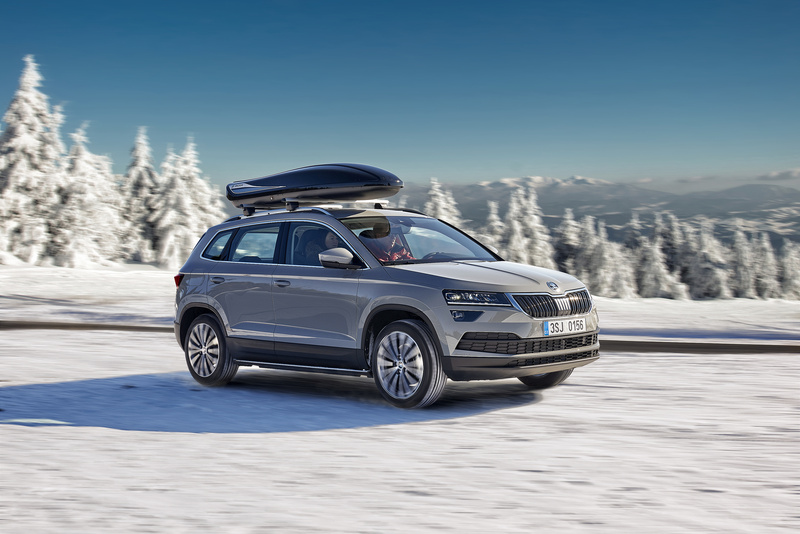 In Central Europe, ŠKODA delivered 16,500 vehicles to customers (January 2018: 18,700 vehicles, – 11.6%). January deliveries to customers reflect the overall decline in the passenger car market in this region. ŠKODA delivered 6,900 vehicles in the domestic market of the Czech Republic (January 2018: 8,600 vehicles, 19.7%), while achieving growth in Poland (6,100 vehicles, +0.3%) and Slovenia (700 vehicles, +6.9 %). In Eastern Europe excluding Russia, ŠKODA delivered 3,000 vehicles in January, an increase of 9.2% over the same period last year (January 2018: 2,800 vehicles). ŠKODA significantly increased its deliveries in Serbia (500 vehicles, +28.1%) and Bulgaria (400 vehicles, +76.5%). The Czech carmaker also continued along the path to growth in Russia. Delivering 5,500 vehicles represents an increase of 23% compared to the same month last year (January 2018: 4,500 vehicles). In China, the brand’s largest single market worldwide, ŠKODA recorded 27,800 deliveries to customers in January, 11.7% fewer than in the same period last year (January 2018: 31,500 vehicles). The current decline in the overall market in China is also influencing the development of deliveries to customers in the region. In India, ŠKODA delivered 1,200 vehicles in January, a decline of 10.6% compared to the same month last year (January 2018: 1,300 vehicles). In Israel, ŠKODA recorded 3,700 deliveries in January, 31.3% more than in the same period last year (January 2018: 2,800 vehicles). In Algeria, ŠKODA delivered 1,700 vehicles in January, an increase of 418.6% over the same period last year (January 2018: 300 vehicles).